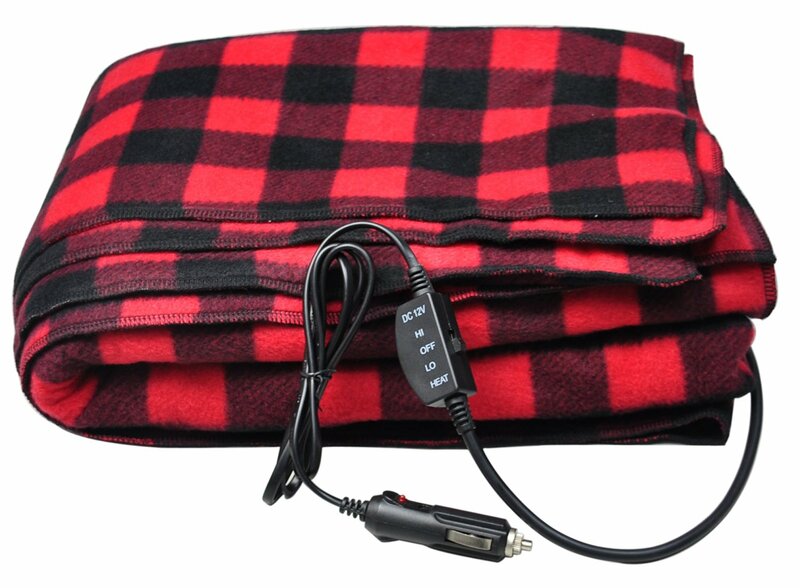 Selection of fleece electric heated blankets that get power from the vehicle's cigarette lighter plug. 12 Volt blankets get warm and not hot like the 120 volt Blankets. Note: Blankets are not designed to be sat on or laid on. Only use the blankets unfolded and verify that your vehicle's cigarette lighter, fuse & electrical system voltage is functioning properly prior to each use. Always test the blanket after storage & prior to use. If using a battery to power the blanket, click here for the battery drain calculator.